I started my law enforcement career in April of 1985. 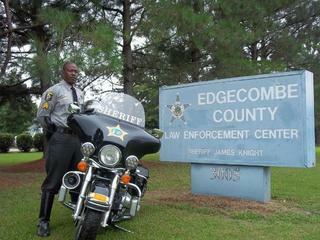 The Edgecombe County Sheriffs Office obtained its first motor unit in year 2004. I was appointed to use it for special events during this time. During this same year the Sheriff sent both me and Captain A. Mosley to the North Carolina State Highway Patrol to become certified as motor unit officers. In March of this year I attended a three day assessors course in Hendersonville North Carolina. I currently work in the area of ABC/Traffic officer.